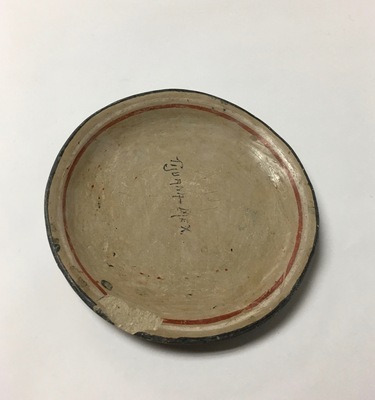 Clay plate, Tijuana, Mex. written on top. Possibly aquired by Cable during her travels to inspire the Bentonite ware.